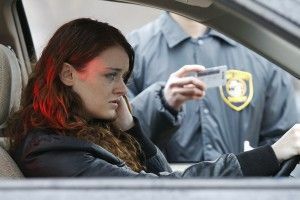 When you or a loved one is arrested for driving under the influence, dealing with the courts can be an intimidating and uncertain process. It's important to have a Boulder DUI attorney to help guide you through the criminal justice system while ensuring your interests are looked after. But an attorney can be expensive and some individuals wonder whether they really need a DUI attorney or if they can handle the situation themselves. Anyone can go into court and answer the charges themselves, but having an attorney provides several important advantages. 1) DUI EXPERIENCE – DUI Attorney Steven Louth represents hundreds of clients facing DUI/DWAI charges every year. He has seen thousands, if not tens of thousands of cases over his career as both a prosecutor and defense attorney. When a lawyer handles this many DUI cases he knows what a fair resolution for your specific case should be. Mr. Louth knows if it is something you can fight at trial or a case where the DA can be convinced to offer a lesser plea to a non-alcohol related offense. 2) PROTECTING YOUR RIGHTS – Mr. Louth knows if your rights were violated during the stop or at any other point in the investigation. We have worked to get some of our clients cases thrown out. For example one of our clients was driving on private property on a field when the police pulled him over. He consented to a chemical test and blew above the legal limit. He was arrested and charged with driving under the influence. We argued officers had no grounds to pull him over as it was private property and there were no other clues for officers to suspect he was intoxicated. The judge ruled the officers made a mistake and all the evidence was suppressed. 3) WORKING WITH YOU – Mr. Louth will appear with you in court, explain all the procedures and steps to you and ensure your case is handled correctly from the start and minimize the stress you are facing. We help our clients get enrolled in treatment to minimize consequences down the road. We also can file motions and help with other issues our clients deal with not only while the case is pending but also while on probation. Mr. Louth and his team will help you understand the courts and protect your interests. 4) TRIAL – If the case goes to trial you want an experienced DUI trial attorney on your case. Our most recent DUI trial involved a situation where our client was sleeping behind the wheel with the car turned off. A witness said the car got from point A to point B but could not see who drove. When officers found our client asleep behind the wheel they assumed he had driven the vehicle. At trial we established there we no clues that established he drove beyond a reasonable doubt. He was acquitted of all charges. 5) DMV – The DMV is separate from the criminal courts. Mr. Louth understands the DMV aspect of a DUI. He will explain what you are facing and what your options are for keeping your license or minimizing the loss of the privilege to drive. If there are grounds he will request a hearing to challenge the DMV. Having an attorney walk you through the DMV saves a substantial amount of time and frustration. There are certain forms which must be filled out within seven days of the notice of revocation and if this is not properly done you will lose your right to challenge the DMV. 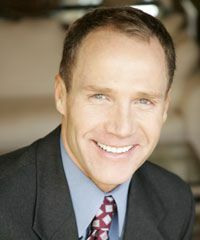 When choosing a DUI attorney you want a lawyer who handles DUI cases frequently. When you interview attorneys ask them when was the last DUI jury trial they did. Ask them what would happen if you took your case to trial. You should get the feeling your attorney handles lots of DUI cases and knows the laws surrounding DUIs. The murder statute in colorado is one page long while the DUI (excluding DMV) is 13 pages long! For more information or to set up a free initial consultation call our office at 303-442-2297. We have offices in Boulder and Denver and represent individuals throughout Colorado and the Front Range.